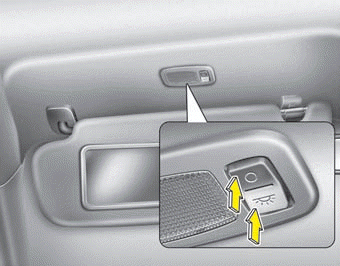 Pull the sunvisor downward and you can turn the vanity mirror lamp ON or OFF by pushing the button. : To turn the lamp ON. : To turn the lamp OFF. To prevent unnecessary charging system drain, turn off the lamp by pushing the O button after using the lamp.